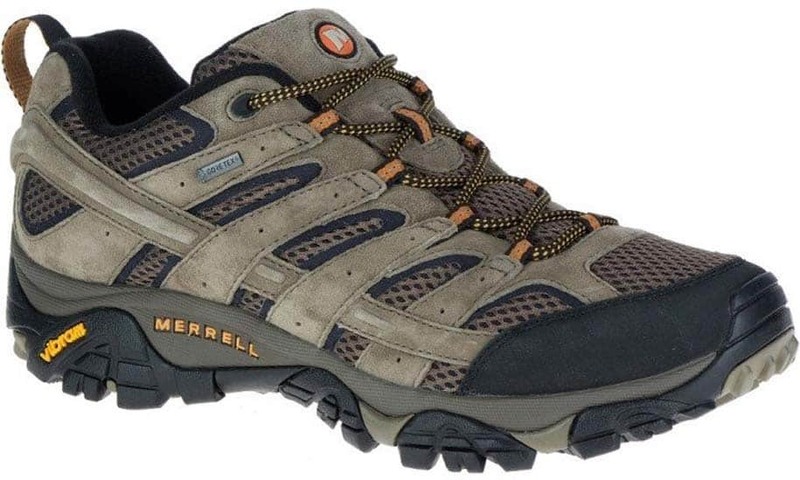 Many hikers love the freedom and lightweight of a hiking shoe instead of a clunky boot. 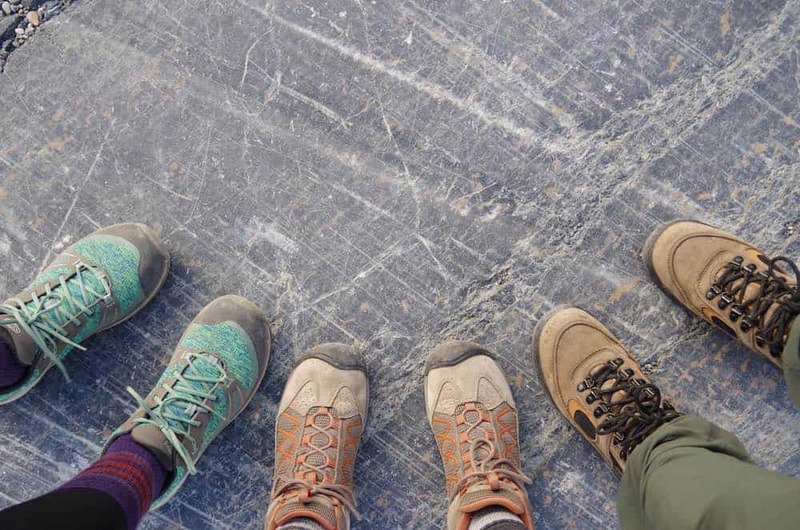 While hiking boots can offer plenty of ankle support for carrying a heavy pack for days or weeks on end, a lightweight hiking shoe can make moving fast and efficiently over long-distance terrain a breeze. 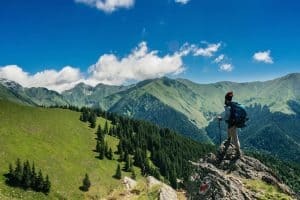 There are so many hiking shoes on the market, however, and it can be difficult to decide which pair is right for your needs. To make things simpler, we’ve prepared this in-depth hiking shoe buying guide that walks you through the ins and outs of choosing your next trail companions. After the summary table below, we'll provide an intro to hiking shoes and the factors you need to consider when buying, followed by our detailed reviews. Part of the appeal of a pair of hiking shoes over a set of boots is that shoes are much lighter. Every time you take a step while walking, you pick your footwear up and then place it back down. All of that repetitive lifting can be tiring after a while, so a lighter boot can be seriously helpful over long distances. When reviewing hiking shoes, be sure to thoroughly consider the weight of a single pair of shoes. The lighter the shoes, the less effort required to walk in them. However, keep in mind that sometimes weight savings are made by sacrificing durability or outsole thickness, so you might feel all of those small rocks and twigs underfoot as you walk uphill. Many people prefer waterproof boots for walking through mud and puddles. 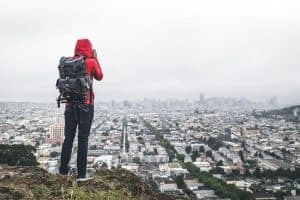 While waterproof boots are fantastic, keep in mind that hiking shoes have a much lower top than their high-top boot counterparts. This means that even with waterproof shoes when walking through deep puddles you might get water coming in over the top of the shoe. 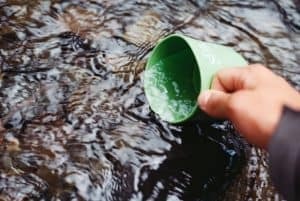 This water will then sit inside your shoe and not easily drain as the waterproof liner keeps water in as well as it keeps water out. 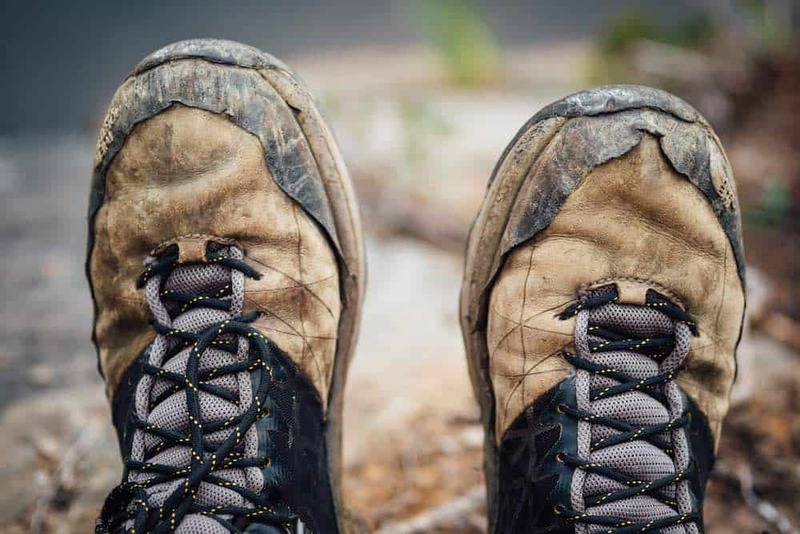 Non-waterproof hikers will drain easily and breathe well, so this is an important aspect of your shoes to consider. Now that you know what to look for, let’s get right to the reviews. ​The X Ultra 3 GTX is one of Salomon’s most reliable hiking shoes. Tipping the scales at a miniscule 380g, it’s easy to forget that these shoes are even on your feet. They come complete with a high-traction Contagrip outsole and protective heel and toe caps. Their EVA shaped footbed offers a lot of solid arch support while the quicklace system makes it easy to slide in and out of these shoes. One of the best parts of this shoe is its water-resistant textile and synthetic uppers, which don’t easily saturate with water after walking through puddles. If you want a shoe that’s light and durable for speedy trips up the local hills, the X Ultra 3s might be the shoe for you. ​The Northface is known for making high-quality outdoor gear and the Hedgehog Fastpacks are no exception. Built to last with a PU-coated and textile mesh upper and a thick Vibram outsole, these shoes are great for rough and rocky trails. The Hedgehogs have a TPU shank and solid heel cup to help keep hikers stable even in a low-top shoe. A Gore-Tex liner helps keep feet dry while rust proof grommets and hardware keep the shoes looking good for many hikes to come. 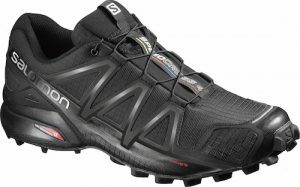 Another great pair of hiking shoes from Salomon, the XA Pro 3D GTX have all of the great features we’ve come to expect from this long-running French company. Built with their proprietary quick-lace system and 3D chassis, the XA Pros are designed with stability in mind. They have a protective rubber toe cap and a durable, protective mudguard upper for durability and protection. The XA Pros' water-resistant textile upper and Goretex liner help them breathe well, even in wet conditions, too. If you want lightweight hiking shoes that aren't too harsh on the bank account, the XA Pros might be the shoes for you. "I’ve used these shoes for the last handful of years and have been quite impressed. They’re equally at home as an everyday-wear walking shoe and as a hiking shoe in rough terrain. The 3D chassis provides ample ankle support from the ground up, which is great when wearing a low-top shoe." 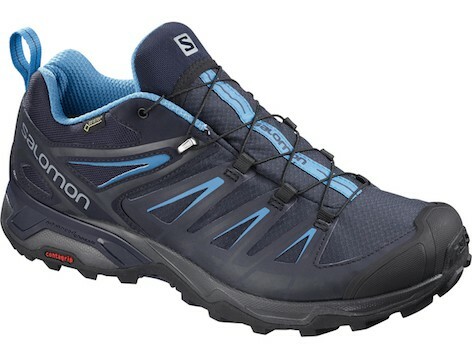 ​​The Evasion 2 from Salomon is made to move efficiently over rough terrain. With a high traction Contagrip outsole, these shoes offer great grip on a variety of surfaces. They come with protective heel and toe caps and mud guards to help prevent excessive wear and tear from dirt. The Evasion 2s feature a waterproof suede leather and water-resistant textile outer alongside a Gore-Tex liner, which can help keep feet dry. We recommend these lightweight hiking shoes for people who want one set of footwear for both hiking and backpacking with light to moderate loads. 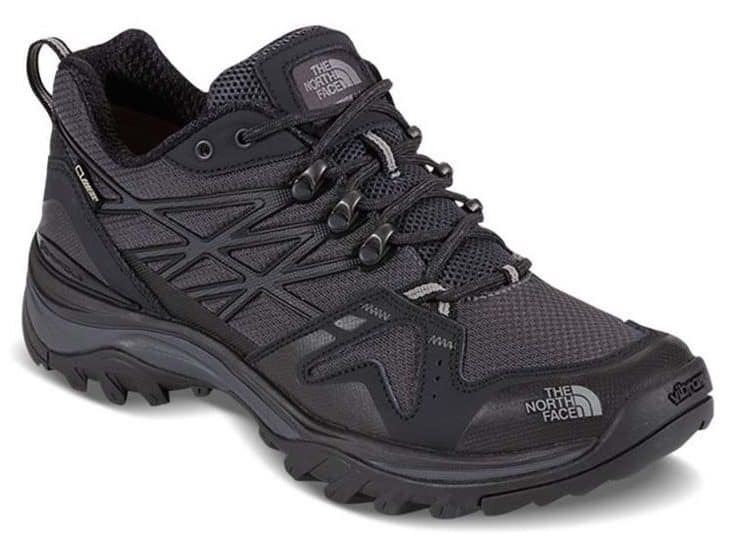 ​The Endurus is The North Face's super light (300g) hiking shoe. Made for all-terrain hiking, the Endurus boasts an ultra-comfortable fit with an ESS "Snake Plate" shank for rigidity and protection underfoot. Plus, it has a toe cap and a waterproof Gore-Tex membrane for ultimate protection from the elements. One of our favourite things about the Endurus is its burly outsole. Built with Vibram XS Trek rubber and 4mm sole lugs with biting edges, the Endurus is designed to get the best purchase possible in a variety of terrain. 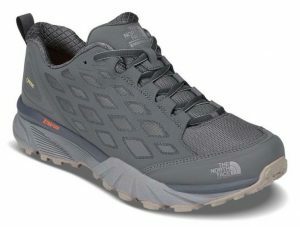 This is a great option for people who like to travel far and wide and need one lightweight hiking shoe to do it all. 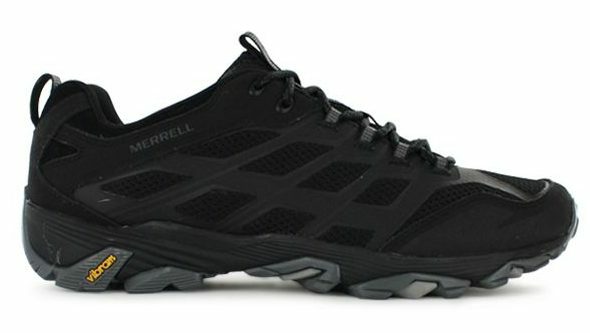 The FSTs are Merrell’s lightweight take on their classic Moab hiking shoe (also featured in this list). FST stands for fit + superior traction, which is exactly what you get with these shoes. With a moulded arch shank and air cushioning in the heel, these shoes feel great on your feet for hours on end. The Moab FST’s Vibram MegaGrip outsole also gives you a great combination of traction and durability. 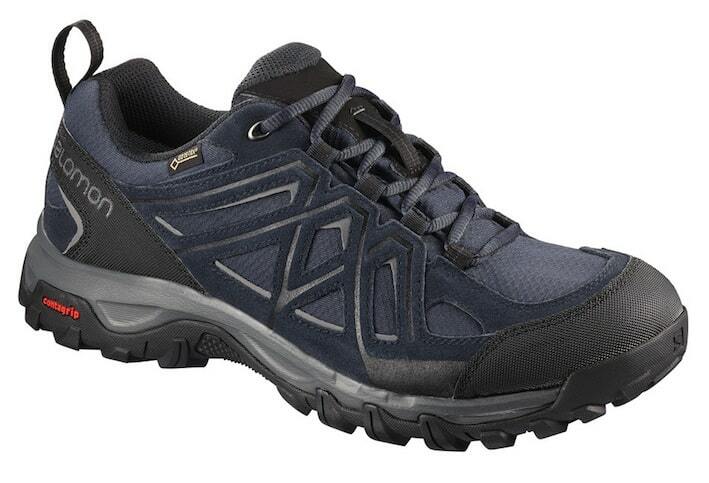 These are great day hiking shoes for moving efficiently over long distances. 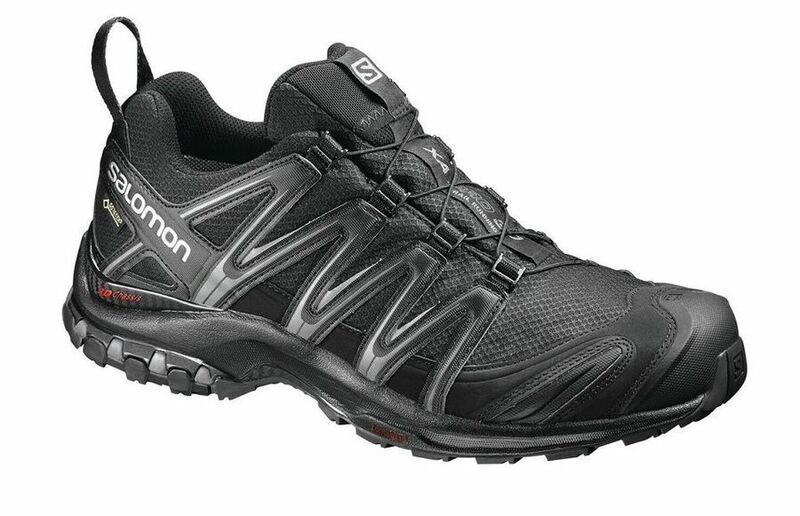 ​The Salomon Speedcross 4s are a solid trail running shoe that have also become a popular lightweight hiking shoe. If we had to choose one area where the Speedcross 4s excel better than any other shoe, it's their traction capabilities. With a lugged wet traction ContaGrip outsole that resembles a dirt bike tyre more than a shoe, the Speedcross 4s make tricky terrain a breeze. The Speedcross 4s are made with a water-resistant synthetic upper that helps keep feet dry while still allowing maximum breathability. Plus, Salomon’s proprietary Quicklace system gets a secure and customised fit. We don’t really recommend these for backpacking, but they’re a great shoe for fast hikers who want the flexibility and light weight of a running shoe. "I’ve used the Speedcross 4 and its predecessors as lightweight hiking and trail running shoes for a few years now and have always been impressed by how well it grips in muddy conditions. The outsole is amazing and totally worth it if you travel in tricky terrain." 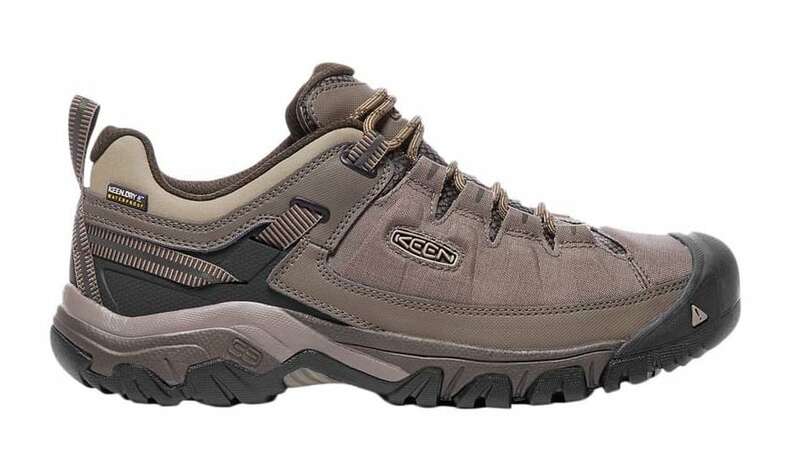 ​Keen is known for making durable and solid hiking shoes at an affordable price. The Targhee EXPs are no exception. Built with a breathable leather and mesh upper and a KEEN.DRY waterproof liner, these shoes will keep on trekking in the roughest of terrain. The TPU injected heel cup and the internal nylon shank offer a massive amount of support, even on uneven trails. Plus, leather mud shields help keep the shoes clean, which contributes to their longer lifespan and durability. If you have wide feet and want a reliable, light hiking shoe, the Keen Targhee EXP might be the shoe for you! Plus, the air cushion in the heel helps absorb shock during steep downhill jaunts. A Vibram TC5+ outsole with thick 5mm lugs gets great traction on muddy trails while the rubber toe cap protects your feet from rocks and branches. Our biggest concern is that the suede/mesh upper is not very abrasion resistant, but the Moab 2s will make a great hiking companion for casual hikers. ​The Guide Tennie is Five Ten’s classic approach shoe which has become popular amongst lightweight hikers for its unparalleled traction abilities. Made using Five Ten’s amazing proprietary Stealth C4 rubber and their signature dotted tread, the Guide Tennies are built to keep you moving over rocky terrain. With an ergonomic design and a suede/synthetic upper, these shoes are comfortable day in and day out. 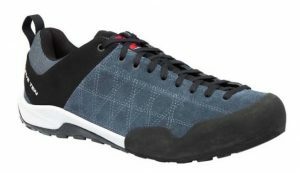 We recommend the Guide Tennies for scrambling and hiking on rocky terrain. They’re not great for carrying heavy loads, so we don’t suggest using them for backpacking. 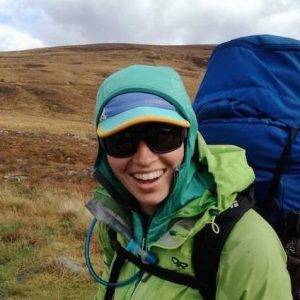 "I’ve used these as my main approach shoes for years and they make a great pair of hiking shoes on rocky terrain. If you also do a bit of scrambling, you’ll really like the edging power of these shoes and how comfortable they feel day after day." The reviews are in, and while there are many great hiking shoes out there, we can only have one winner. Our choice: the Salomon X Ultra 3 GTX for its unparalleled combination of light weight and durability. 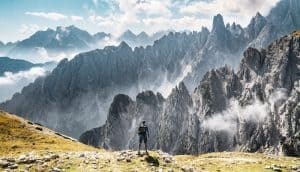 Regardless, when choosing your next pair of hiking shoes, be sure to consider what shoes are right for your hiking style and needs. Happy trails! There are three main types of lightweight hiking footwear - hiking shoes, trail runners, and approach shoes. 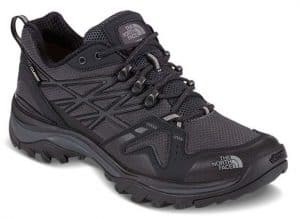 The stiffest and most substantial of the bunch, these often resemble a low-cut version of a hiking boot without the extra weight or ankle support. They tend to offer the most protection from rocks and roots and are great for rough trails. 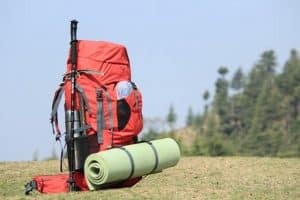 Out of the three main types of lightweight hiking footwear, however, they are often the heaviest and bulkiest options. These are ideal for people looking to move fast over large swaths of terrain. They are flexible and comfortable, yet are not designed for carrying lots of weight. Trail runners are great for moving fast on day hikes and short backpacking trips, though the lack of ankle support will be noticeable. They tend to be less durable and protective in the long-term, however, they have become quite popular amongst thru-hikers and minimalists because they are very light. Check out our full write up on Trail Running Shoes. Best used on steep rocky terrain, approach shoes were originally designed for rock climbers who needed a grippy shoe for walking to crags but have become popular amongst rock scramblers and hikers alike. Approach shoes tend to have very sticky rubber underfoot and a toe rand for protection against rocks. There are even some crossover-types that are somewhere in between a hiking shoe and an approach shoe. However, they aren't that great for muddy trails and don't offer much support.